There are specific questions that great investors ask before trading. 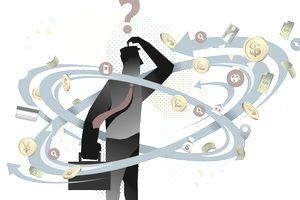 By extension, more naïve or less successful investors tend to overlook these important queries, which is perhaps why they have trouble achieving more sizable gains. Do asking these questions ensure investment success? Of course not. But they will guide your mindset in the right direction so that you can make more profitable trading decisions. If you don't ask these questions, will your investments lose? Not necessarily, but you may also be approaching your trading from a less opportune angle. This may lead you to make choices that do not turn out as well as they could. Question 1: What Are the Current Price Drivers in This Stock? Individual stocks have specific forces which are actually moving the prices, beyond the more "surface" assumptions made by most people. Often, these price drivers are very different than most investors think upon first glance. For example, less effective investors may believe that strength in the underlying industry is actually what is pushing the prices of the shares. However, the more successful traders may understand that the underlying shares are affected more by the activities of direct competitors, such as one of them launching a huge marketing campaign, or perhaps even going out of business. So the question becomes what is really moving the price of the shares? On the surface, it may appear to be the financial results of the company, and their percentage of the total market share that the business captures. However, by looking a little bit deeper, great investors may understand that the price is increasing or decreasing based more on factors such as the resignation of one of the key executives, the outcome of legal battles, new government policies and regulations, and other reasons. Only through an understanding of what actually influences the shares, will you open yourself up to trading the stock at the best prices (on both the buy side and the sell side). The more obvious and conventional factors are important of course, but so are the subtle and abstract forces; government regulations; industry permits; technical trading imbalances; changes to key management team members; shifts in social choices. Question 2: What Am I Expecting to Achieve With This Stock? This is just smart thinking for any level of investor. When you first purchase an asset, typically you should have an understanding of how you anticipate the shares will perform. For example, is this investment into a $2 penny stock going to lead to double in the value of your investment, or are you just hoping to pull in a strong 10 or 15 percent per year for the next couple of decades? Are you anticipating the price will move meaningfully within weeks or decades? Knowing the answers to these questions will help you trade the stock at the most advantageous prices. For example, if your outlook is for the investment to triple in price within the next three years, you will have a longer-term outlook — this would lead to an understanding that you've got plenty of time to invest in the shares, and you will not need to rush. On the other hand, if your belief is that the shares will multiply in price in the short term upon the release of their financial results, you will need to act much more quickly. You should also respond just as quickly if the shares do not act as you had originally anticipated. Question 3: Does This Trade Help Me Hedge Other Positions? Not every investment is made solely on the basis of the shares potentially increasing in price. To this end, great investors often hedge their positions with various trades. Hedging involves purchasing an asset which will act in an opposite fashion to some of your other holdings or help insulate against potential downside in them. For example, if the Federal Reserve raises interest rates, that is typically good for the banking stocks, while it is generally negative for the value of precious metals. Thus, if you have a significant portion of your portfolio involved with banking stocks, you may want to dedicate a part of your investment dollars into gold or silver. Then, if the Federal Reserve does not raise rates as expected, banking stocks may decline while precious metals companies increase. That is an example of a good hedge, in that it will minimize the loss you may have taken on the banking stocks by offsetting those with increases in the new precious metals investment. Most hedging actions are designed to limit losses that you otherwise would've suffered, or in order to position your holdings to benefit from various uncertain outcomes. There are many examples and methods of hedging. Each approach is designed to insulate your portfolio from volatility, and/or minimize potential losses. Think of it like betting on an NFL game — you could say Cleveland will win the game, but you could also bet that the total score will be less than 40 and that Cleveland will not make the playoffs. Each strategy is different for each portfolio type and individual investor. Question 4: What Is the Momentum of the Underlying Company? Many investors base their trading decisions on whether or not they like the technologies, products, or services of a company. Unfortunately, being a fan of a product, even if that product is absolutely excellent, is not a good reason to invest in the shares of the company. The "best" is not necessarily the winning investment. The top-selling soft drink is not the one that tastes better than the others, the greatest singers are not the ones that you hear on the radio, and the superior technology is often not the one which outsells the inferior ones. Rather, success in promoting and selling a product or service has more to do with the distribution network than the quality of the company's wares. This is why successful investors look first to the momentum or operational direction of the underlying company. Don't worry about if their product or service is superior to their competitors, focus on whether or not the company has a successful process and network to put that product in front of the faces of potential customers. In other words, put more weight on distribution than product. A great marketing, awareness, and distribution network will always outdo the best product which falls short in terms of getting in front of the eyes of consumers. Question 5: In This Specific Space, Is This the Most Attractive Company? Often individual investors tend to get excited, or even a fall in love with a company. Once they've set their mind on one business, they become closed to all the other competition in the exact same space. More successful investors will look at every other competing company in the exact same space, and make a judgment call about which one will be operating most effectively. You may love ABC Corporation, but then find out that XYZ incorporated actually has superior profit margins and significantly less long-term debt. Individual investors look at either buying a company... or not buying that company. More successful traders focus on getting involved within the specific space or industry which they anticipate will do well, then they choose the business in that industry which seems to be outperforming the others. For example, if your analysis shows you that online robots sales are going to increase dramatically, rather than just going out and buying an online robots sales company, you should look at all of the options and choose the best one. This has the added benefit of giving you exposure to a growing industry, and also to the specific company which should perform the best out of the entire industry, while it increases in size. Question 6: What Risks Will Come From Indirect Competitors? Most companies have direct competitors, such as McDonald's going up against Burger King. However, very often there is even more competition from indirect competitors. These are just a few quick examples, but any influence which decreases the number of people who will be patrons of a specific business should be treated as a source of indirect competition. As another example, the local weight loss gym will be up against influences such as not working out at all, diet pills, riding a bike or jogging, the "lap-band" or "stomach staple," or even a growing trend of pilates and home-based DVD workout programs. Given this latter example, much of the indirect competition will actually come from the weather. When spring approaches, and/or summer arrives, most people are much more motivated to lose weight. They also can more easily exercise by biking, rock-climbing, or jogging when the weather is good. Keep an eye on direct competition with any company, but also be aware of the larger source of potential threat, which is indirect competition. For every dollar in sales put at risk by "the Devil you know," there are many more dollars in jeopardy from, "the Devil you don't." While this is certainly not an exhaustive list of the important questions to ask when investing, is meant to demonstrate the difference in the mindset of successful investors compared to most retail investors. By changing the way in which you look at a company that you are interested in trading, and the questions you ask yourself about that choice, you may start to see superior returns compared to what you are accustomed to achieving. Keep these types of questions in mind, so that as an investor you get more clarity about the potential activity in the share prices of the stocks you trade. Since most (the vast majority) of people never go beyond the surface when it comes to researching and analyzing stocks, there is a great deal of opportunity. By seeing the same investments as everyone else, but with greater clarity, you will have an advantage other the masses. With that "edge," you open yourself up to superior returns, compared to what you have achieved yourself in the past, as well as when contrasted to the profits (and losses) of the masses of traders.